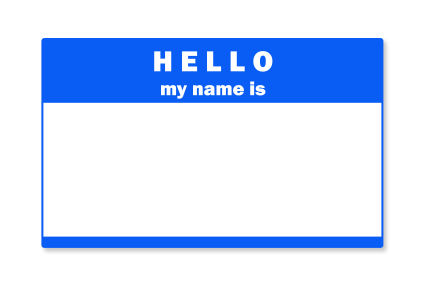 Less information on a name badge gives you the polite excuse to inquire, “Tell me what you do.” A badge or name tag should never give you reason why not to engage. Ask. Inquire. Question. That is how you benefit from any event. Do not hide behind a 3 x 4 card hanging around your neck. Use it as a chance to address the person by their name. “Jim, what is your reason for attending the event today?” “Mary, are you an entrepreneur?” This provides you the best opportunity to qualify, inquire, learn and discern if the person has something to offer you and you have something to offer them. This entry was posted in All Business, Capital, Entrepreneurship, Leadership, Marketing, Random Randomness, Sales and tagged assessment, collaborate, conversation, engagement, event, learn, listen, marketing, needs, networking, opportunity, qualify, question, sales, sell, selling, share by Artful Thinkers. Bookmark the permalink.